Hi i am creating a form where there is field called number of contributors. Now suppose number of contributor is one then there will be a field where name of that contributor appear. 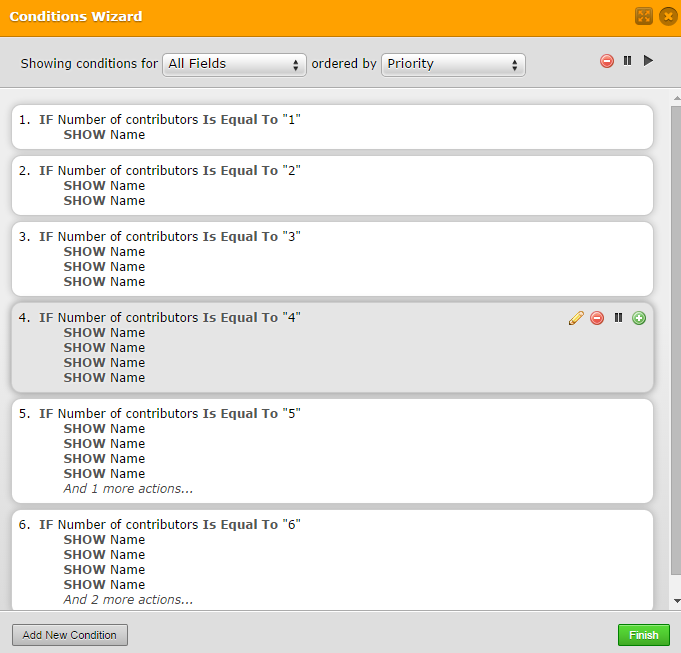 if the number of contributor is 2 then two field for names should appear like wise it can be up to 10 contributors. is it possible with jotform ? Yes that is possible. You can use condional rule to achieve this. Please see this sample http://form.jotformpro.com/form/42513405466956. This is the sample conditions I used. It is only upto maximum of 6 numbers.